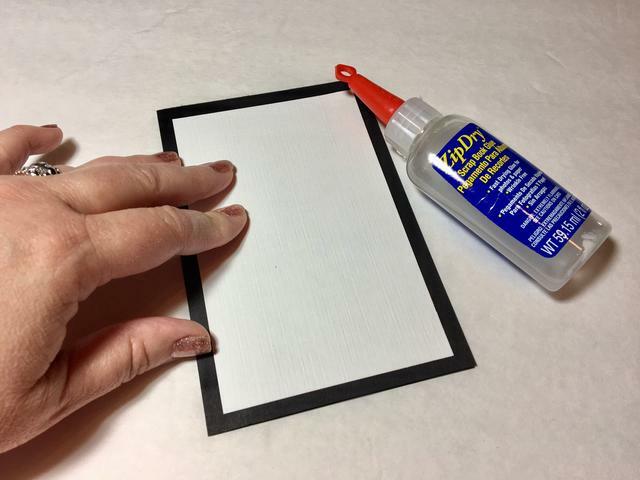 Project Description: Upgrade your card making game adding a customized Grafix Shrink Film bookmark to your card! 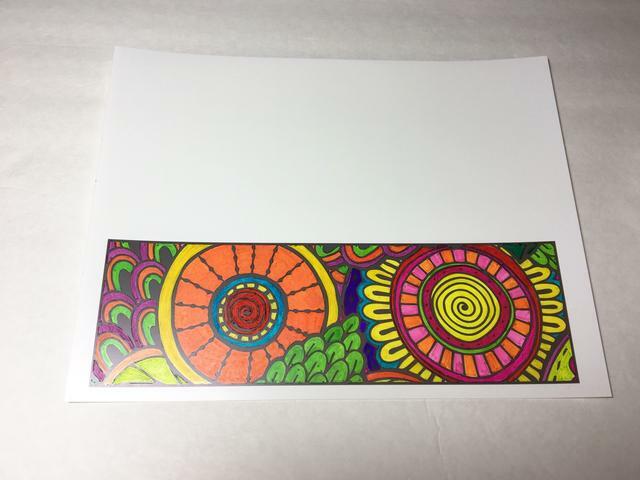 Find a color me bookmark image online or purchase one from a site like Esty and save it. 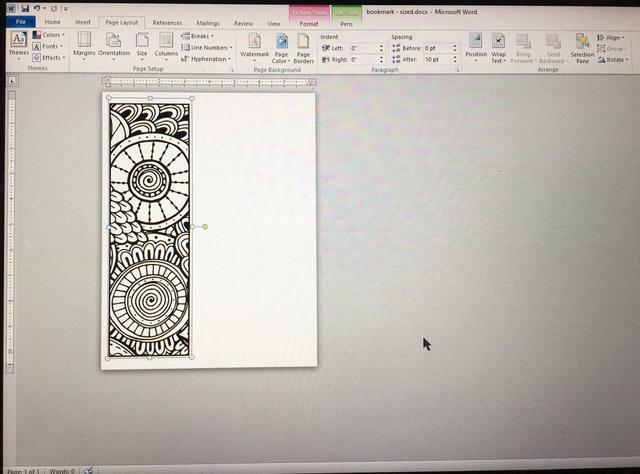 Open a new document in your word processor and size bookmark to fit the length of the page. You can fit 2 images per sheet. 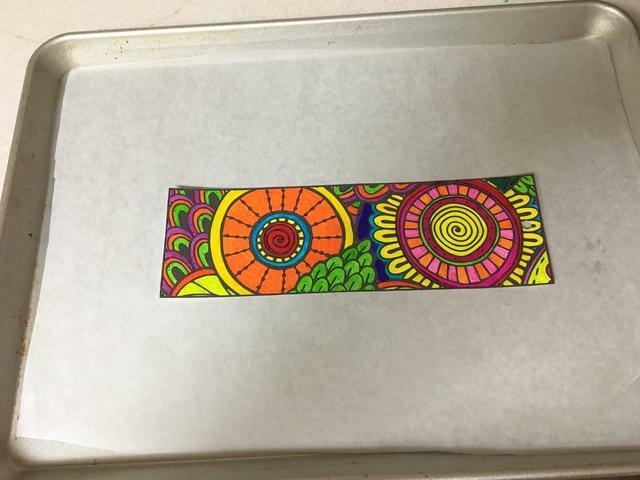 Print the bookmark on Grafix Inkjet Shrink Film. 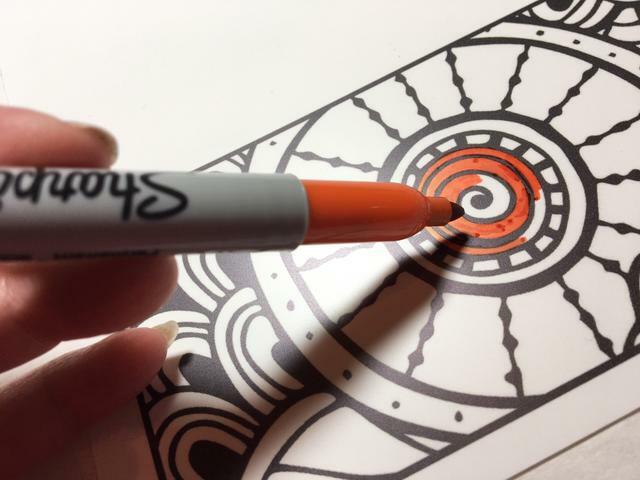 Begin filling in design using Sharpies. 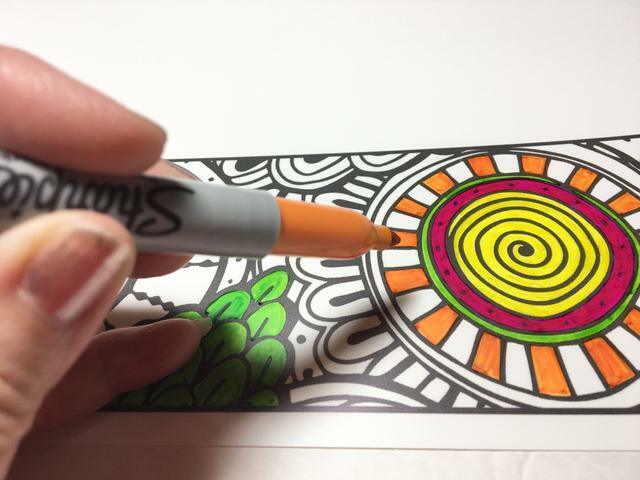 Keep in mind colors will darken and intensify when the project is shrunk, so stick to lighter colors. 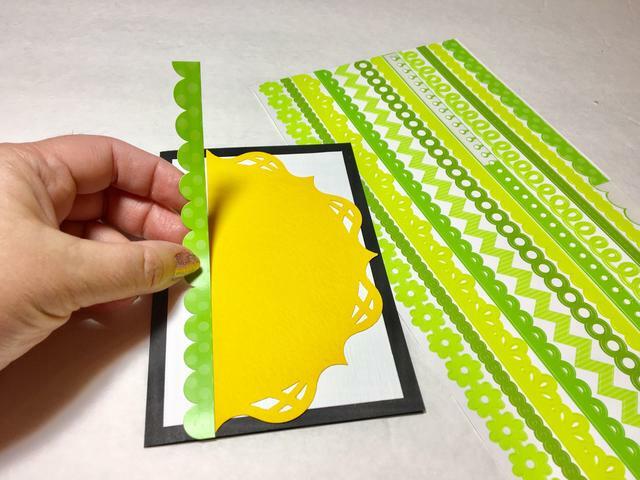 Cut out bookmark close to the exterior line. 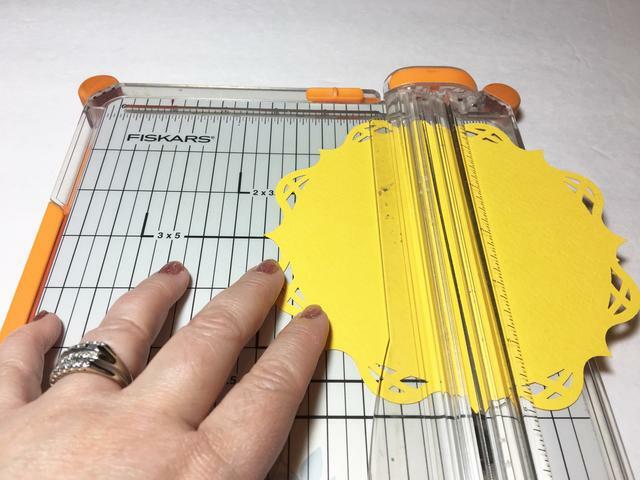 Punch a hole at one end of the bookmark. 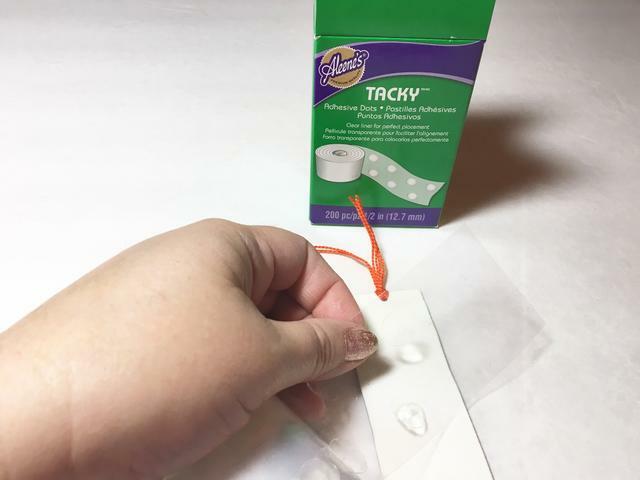 Make sure you use at least a 1/4″ punch since hole will shrink considerably. 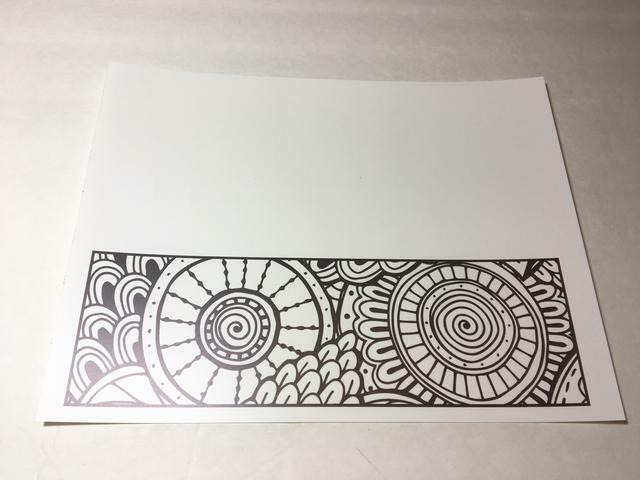 Place the bookmark on a baking sheet lined with parchment. Then bake according to package directions. 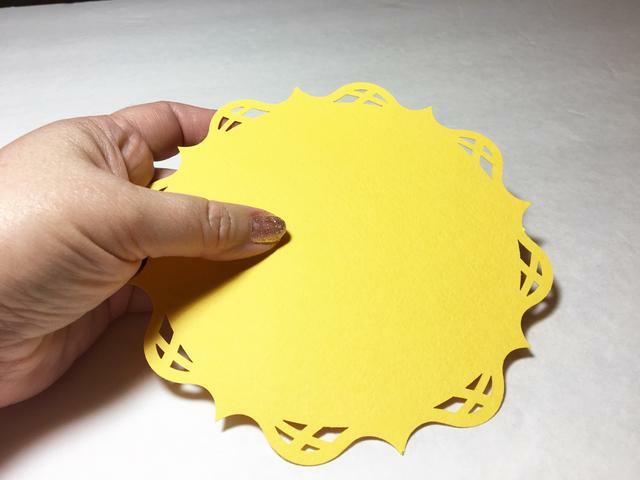 Cut a 6″ square of yellow cardstock and use a Mini 8 punch to punch out an embellished circle. 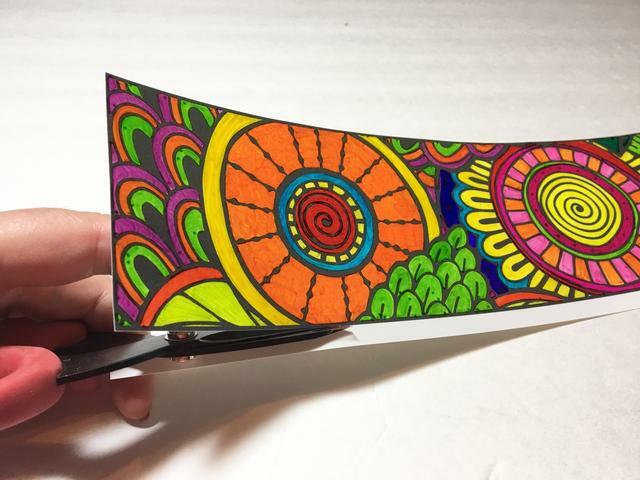 Cut a circle in half with a trimmer. 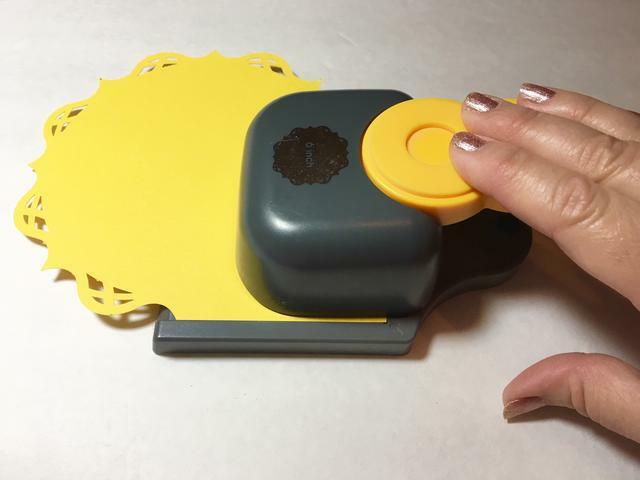 You’ll only need half of the circle for this project. 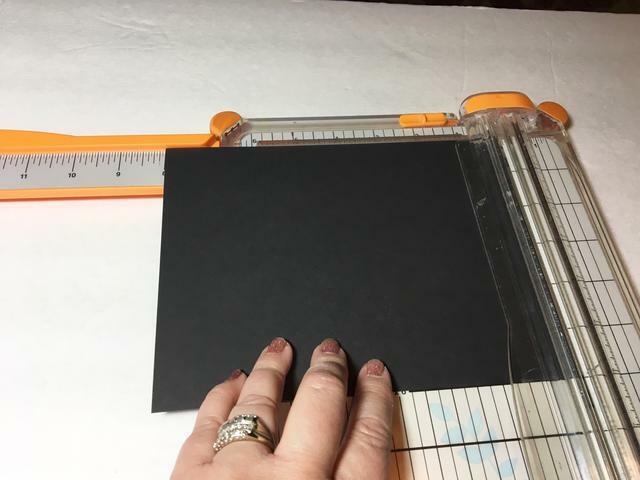 Cut a 6″ x 8″ piece of black cardstock. 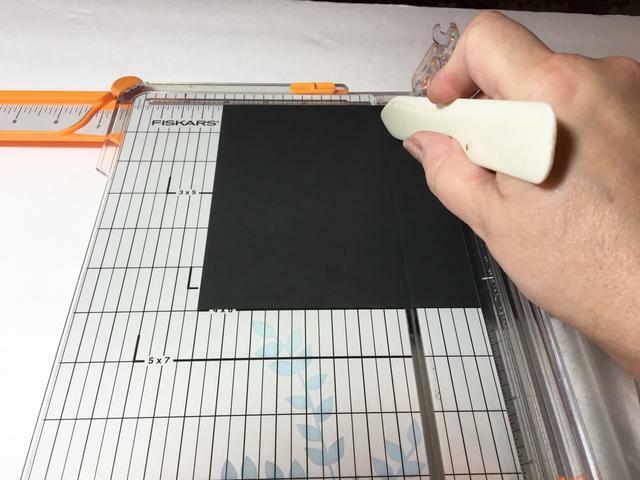 Score the black cardstock at 4″. 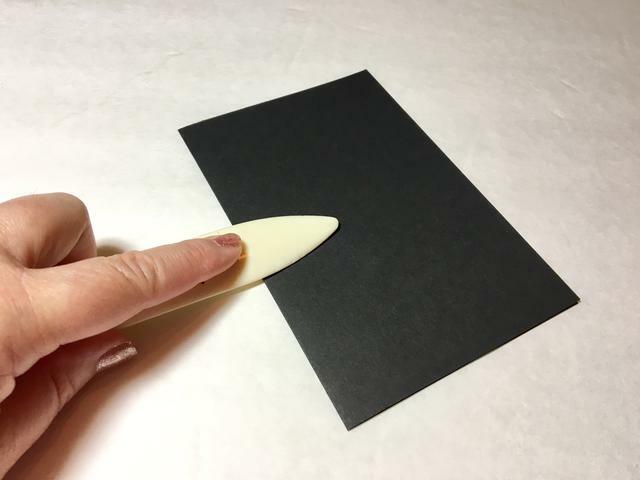 Fold the black cardstock in half and press with a bone folder to make card base. 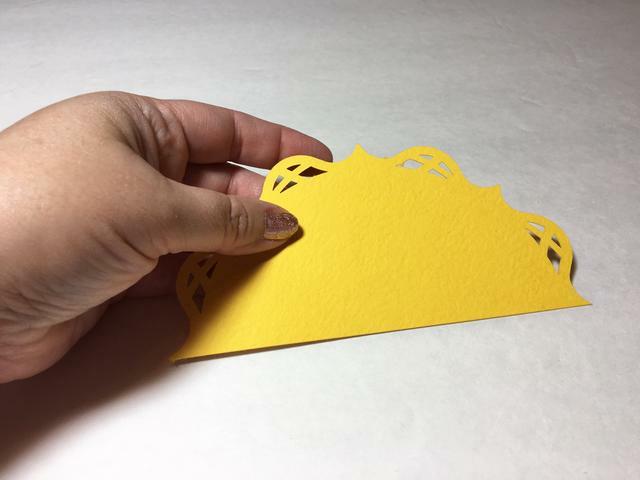 Cut a 3 1/2″ x 5 1/2″ piece of white cardstock and adhere to black cardstock card front using Zip Dry. 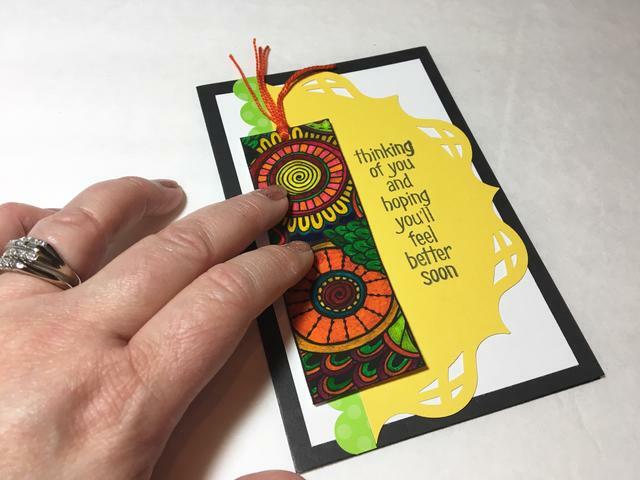 Adhere yellow circle half about 1″ away from the left side of the card, making sure straight edge faces the fold at left side. 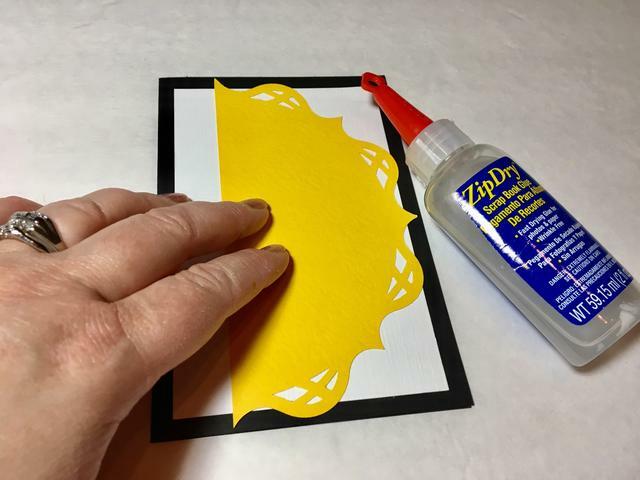 Adhere a border sticker along the left straight edge of yellow circle piece. 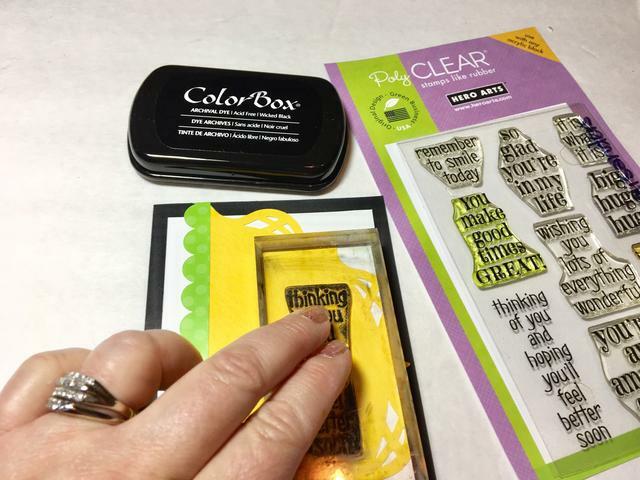 Ink stamp a saying using Wicked Black Dye Ink and stamp at the right side of the yellow circle. 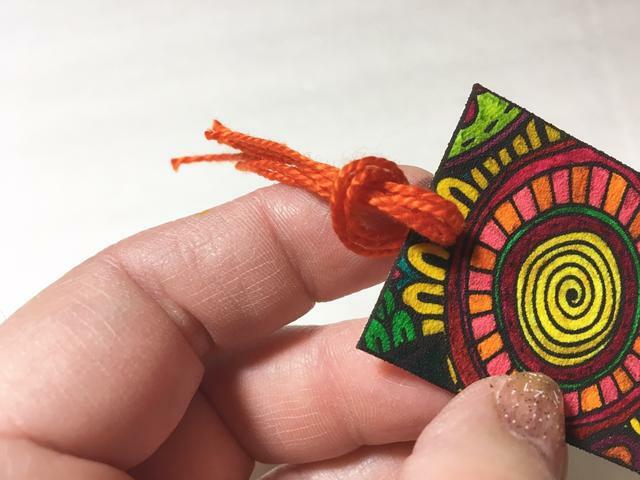 Wind some thread over a 6″ piece of scrap cardstock a few times; cut at both ends. 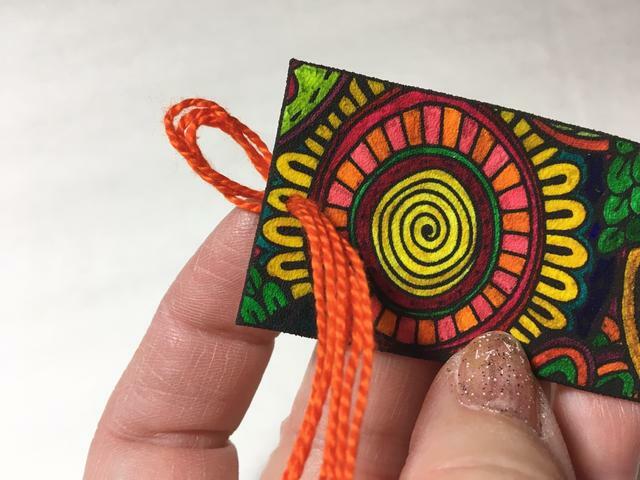 Fold threads in half and insert folded end in the hole of the bookmark. 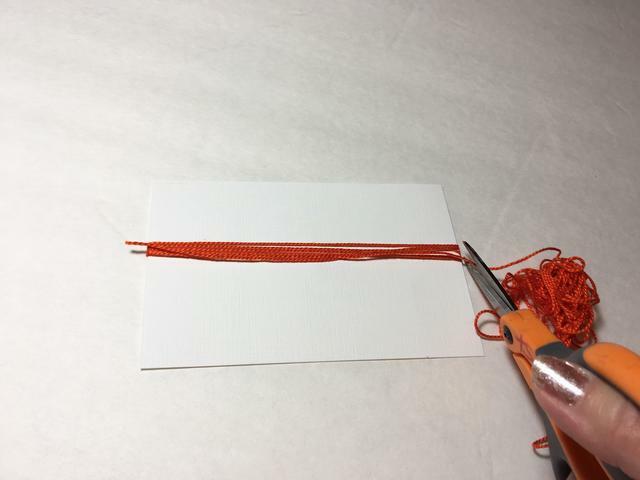 Pull the ends through loop to form tassel on the bookmark.